I loved reading Carrots which is the introductory book in this series and enjoyed following Shelby around so much that I knew that I just had to read and review the next books. Fortunately, Colleen was gracious enough to send me audible version of this book which I enjoyed tremendously. Now, audible books are new to me and I think a happy diversion. As is usual with Colleen's other books, Fast Money also has a beautiful and eye catching cover while the blurb also appeals to a reader. Both are expertly combined to attract a reader to pick up the book to read. The writing style is simple, engaging and gives the reader, dialogues that look commonplace and comforting. The story is told in the first person, from Shelby's perspective. The plot is admirably conceived and executed. As usual, I loved meeting my favourite characters from the first book again. Shelby, a normal housewife who got the power to read people's minds after an accident is again embroiled in a new mystery with Uncle Joey playing a major role. Uncle Joey, a dangerous mob boss who blackmailed Shelby into helping him but still has a soft corner for her and Shelby too calls him Joey uncle is a fun character. Apart from these two, there are both new and old characters which made a place in my heart. The narration by Wendy Tremont King is decent. Her voice suits Shelby and she modulates her voice to portray male characters well. The only place her voice faltered a bit was at the Mexican accent which looked a bit funny but still this doesn't hamper the interest in the book. The mystery, adventure and emotional play is well balanced and the story is well paced to keep the reader engrossed till the end. 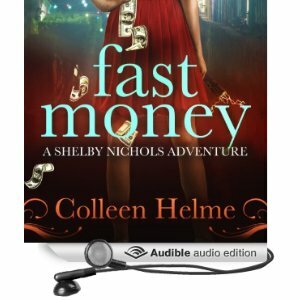 All in all, Fast Money is yet another engaging and interesting Shelby Nichols adventure that I loved listening to and recommend it to everyone. 4 out of 5 to it. Shelby Nichols Adventure series is a must read/listen series and I am already on the fourth book. 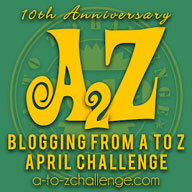 Colleen is a very talented author and definitely one whose books I keep a lookout for! I received an audible version of the book from the author and I am very thankful to her. The above review is my honest and unbiased opinion and in no way influenced.